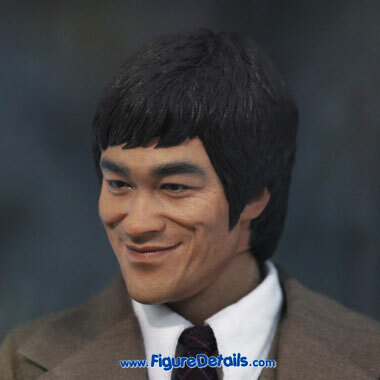 - Fully realized likeness of Bruce Lee with smiley face in the 1970s. 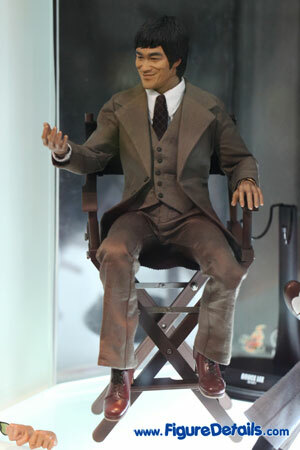 - Detail costume with one set of brown suit including one outer jacket, one inner vest and one pair of pants. 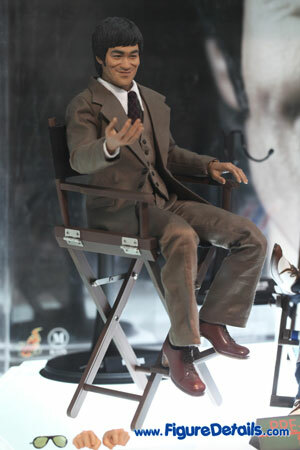 - Director’s chair in brown color. 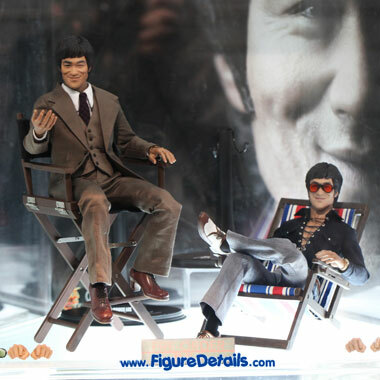 Here I show you the photos of Bruce Lee In Suit Action Figure that is now displaying in the Hot Toys store. 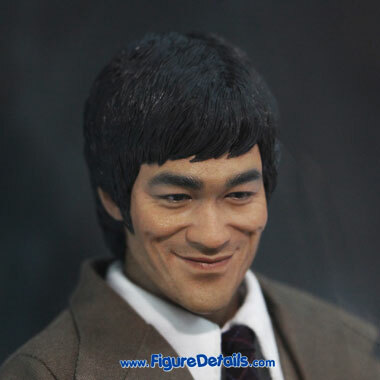 Show you some close up of Hot Toys Bruce Lee Smiley Face Head Sculpt. 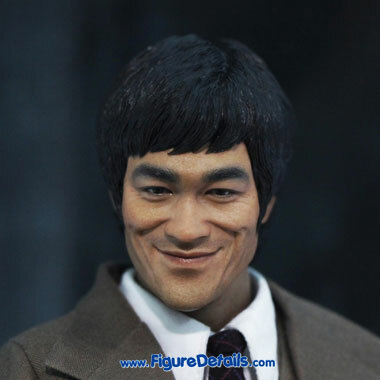 As you know, Bruce Lee is a major product of another action figure manufacture - Enterbay. 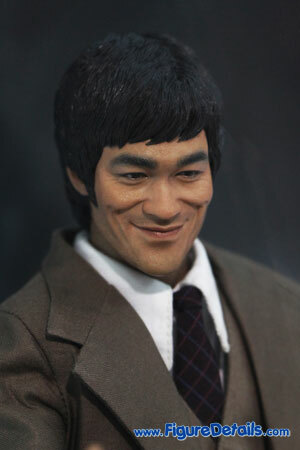 Hot Toys seems try to win the market by produces very details and very nice Bruce Lee head sculpt. 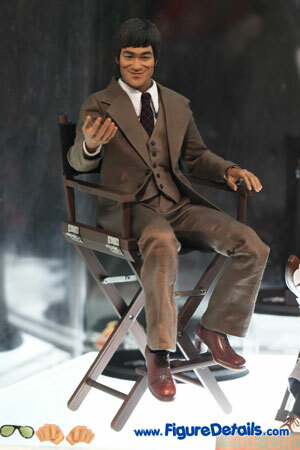 I don't know who will be the winner finally, but I do know that I can get a very high quality action figure with reasonable price.